The Women’s March publicly denounced a pro-Israel bill that has been introduced in the Senate in their newly released 2019 political agenda. This particular bill, S.B. 1, would allow state and local governments to boycott companies that boycott the country of Israel. It’s intended to counteract the Boycott, Divest, and Sanction (BDS) Movement, which calls for companies and groups to protest and penalize the state of Israel over its treatment of the Palestinian people. One of the biggest threats to speech today are the attempts to silence social movements, including those advocating for Palestinian rights, Black liberation in the United States, Indigenous rights and environmental progress. Whether it’s the attempts to create federal or state laws banning political boycotts or criticism of Israel (including the Boycott, Divestment, Sanctions tactic), targeting environmental protest or preventing students and faculty on college campuses from expressing their views or engaging in peaceable assembly, the silencing of one side of the debate is precisely what our First Amendment protects against. 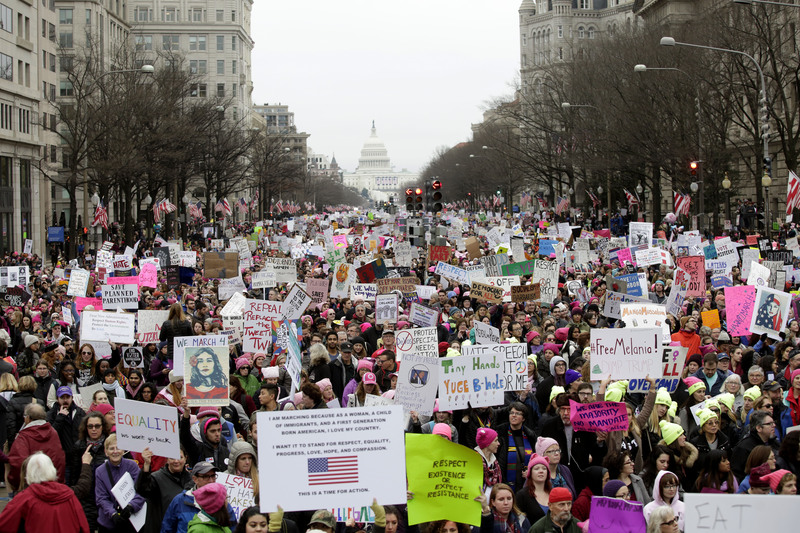 The march’s agenda also includes three specific policy priorities which are universal health care for all, an equal rights amendment to the constitution and ending war. Linda Sarsour, one of the leaders of the Women’s March, promoted the movement during her speech at Saturday’s rally. This bill was widely opposed by Democrats because it was introduced while the government was shut down. Independent Vermont Senator Bernie Sanders and Democratic Michigan Rep. Rashida Tlaib both criticized Republican Florida Sen. Marco Rubio, who introduced the bill alongside Republican Idaho Sen. James Risch. The American Israel Public Affairs Committee (AIPAC) is one of the biggest backers of this bill as it would limit protests against Israel.